Tel Aviv, July 14, 2014 (Alochonaa): Once again Israel finds itself in a military campaign as it tries to deal with the terrorist group known as Hamas. International media reports usually highlight the Israeli attacks on Gaza but in the last 6 days Hamas has fired over 750 rockets at Israeli cities. Unlike Israel, Hamas doesn’t provide any warning to Israeli citizens nor could its targets be considered military targets; the fire from Gaza is targeting cities all over Israel. The reality in Israel is that rockets from Gaza have been fired at Israeli cities for the past 13 years. I don’t think any country in the world could tolerate this kind of aggression against its citizens. Considering other states’ approaches to “the war on terror” one wonders how Britain or Russia would react to daily rocket attacks, or how tolerant they would be if some entity bombed their cities. A country is obliged to defend its citizens from attack, and for too long Israel has ignored and tolerated attacks on its cities. Now, enough is enough. The war in Gaza is an asymmetric war. On one side there is a country with a strong army and superior technology and on the other side there is a terrorist group which is acting against any moral or ethical law. They deliberately target civilians and use their own people as human shields, they conceal rockets in schools, houses, mosques and hospitals, and yet during the conflict in 2008, when the Israel Defense Force (IDF) entered Gaza in a ground campaign, they faced very little resistance. Evidently, the “warriors” of Hamas took off their uniforms and hid in civilian places (like the Shifa hospital). The people that suffer the most from Hamas’ control over Gaza are the people of Gaza.Since Hamas administers Gaza they set the priorities, and when a terror group sets the priorities it is a recipe for conflict. Today, massive amounts of funds, materiel and human resources are used by Hamas for one purpose only – to fight Israel and terrorize Israeli citizens. Hamas has bought and built thousands of rockets, whilst the city of Gaza has an underground city of tunnels that took years to build, cost millions of dollars and used tons of much needed cement. Some tunnels are used to hide terrorists, rockets and smuggle materials, others are used to try and circumvent border posts and kidnap soldiers or initiate terror attacks on nearby Israeli cities. The people of Gaza deserve better conditions to live in, of course, but since their efforts and resources are being used to maintain the fight with Israel the people of Gaza will remain poor and suffering. Importantly, the suffering of Gaza’s people is something Hamas likes to show to the world, but don’t think that the leaders of Hamas suffer the same conditions; no, they are doing fine. Hamas is willing to sacrifice the lives of the people of Gaza for its own political purposes. When this conflict started, most of Hamas’ human assets quickly went underground, literally underground, whilst sending threats and enlisting the exposed civilians as human shields to defend Hamas homes and their ammunition storage. In Hamas’ strategic calculations, the bigger the reported death toll and the more injuries of uninvolved citizens in Gaza the better it is for Hamas. Civilian casualties are desirable because it makes for good Palestinian propaganda by showing Israel as a vicious attacker that “targets” civilians. 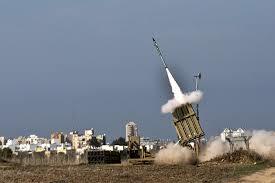 Israel has developed and installed a one of a kind anti-rocket defense system. The result of this system, called “Iron Dome”, is that over 90% of the rockets from Gaza are being intercepted, and this system has saved the lives of hundreds of Israelis that would have otherwise been hit by rockets. This expensive defense system is the main reason why there are very few casualties on the Israeli side, but still, no one should live their life under constant threat of rocket attacks, waiting for the next alarms to set off. The consequences can be seen in the children of the city of Sderot, where those under the age of 13 have grown up to this reality and often suffer from mental trauma. 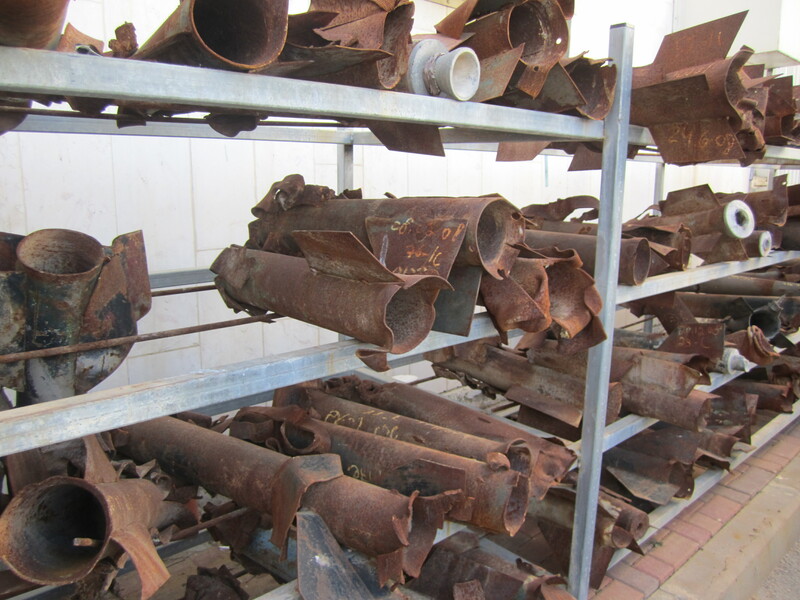 In the last few years, as Hamas managed to smuggle and build more rockets that reach more distant cities, over 3.5 million innocent citizens have come to live under the constant threat of terror from Gaza. Trying to judge the situation objectively is hard, especially given the media coverage. The images and voices from Gaza are truly heartbreaking, many of the causalities are uninvolved citizens, some are children, and the collateral damage is tremendous. Although the IDF is truly trying to avoid any hurt to civilian population, even giving alerts and carefully choosing targets, collateral damage is a sad part of war. If you compare this conflict to other asymmetric conflicts such as Iraq or Afghanistan, where the combat is also between an army and local terrorist groups, you’ll find that Israel is truly trying to minimize the hurt on civilians. One only has to look to Syria, where the death toll could be 170,000 people, to see what cruelty conventional armies can inflict if they choose. Of course, this doesn’t interest the people of Gaza who, once again, find themselves bombed by Israel, however, the real question is who is to blame for this situation? Hamas is using houses and mosques to hide bombs; Hamas ordered the people of Gaza not to leave their homes after being warned and to remain as human shields; and Hamas is firing from schools where they feel safe knowing that Israeli planes won’t fire at them. As the administrators of Gaza, the responsibility for the lives of the people there are in the hands of Hamas. Israel is not looking for war. If the Palestinians will choose to develop their cities instead of attacking Israel they can have peaceful lives but as long as their leaders constantly talk about destroying the state of Israel, and initiate terrorist attacks, the next round of violence is just a matter of time. * Kobi Gur writes from Tel Aviv, Israel and he is a freelance videographer. The French Burqa Ban– So much for Liberté & Égalité! center of a highly populated area killing civilians including children? the objections of the U.S. ? armored vehicles, bulldozers, or tanks? non-proliferation treaty and bars international inspections? ? officers admitted publicly that unarmed prisoners of war were executed? soldiers who have acknowledged executing prisoners of war? and refuses to allow them to return to their homes, farms and businesses? American president grant Pollard a full pardon? refuses to extradite them once in their custody? they prayed in their Mosque.? of all U.S. aid to the world yet is the 16th richest country in the world? has built more than 270 new settlements since the signing? When you want to hate, no reason, is good enough, when your want to love no reason is good enough. The question is what do you want? Whatever you want you will get.